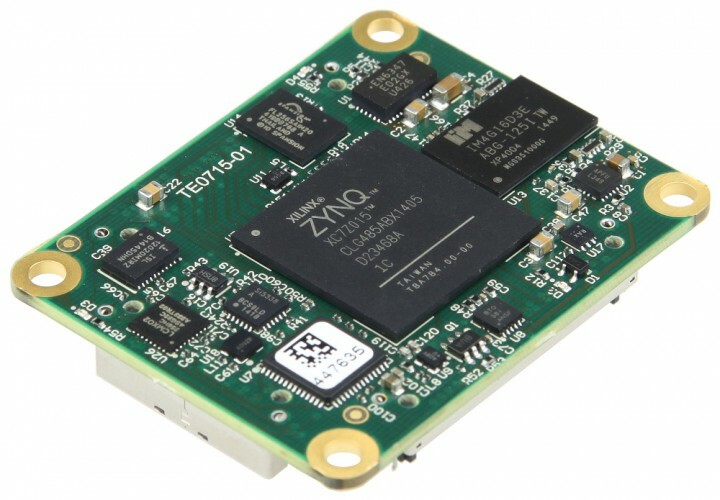 A System on Module is a small plug on device that has a collection of integrated electronics, like a CPU and/or FPGA and is self-contained and only requires a power source to work. 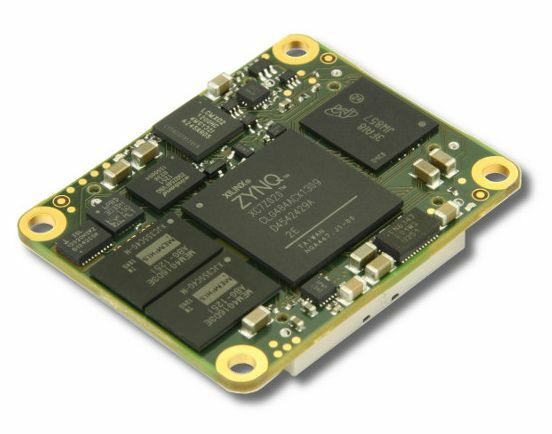 A SoM is typically integrated onto a carrier module with ‘Custom’ I/O to enable interface to Real-World signals. 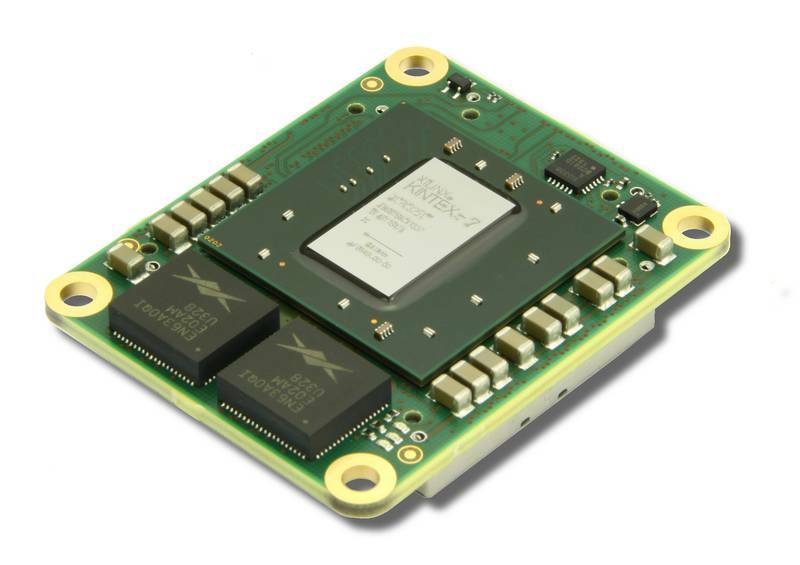 The TE-Series of SoM are 40mm x 50 mm and offers various ARM + FPGA devices coupled with Ethernet PHYs, Memory and are using the Samtec Razor-Beam LSHM Hermaphroditic Terminal/Socket Strip to provide 260 I/O pins. 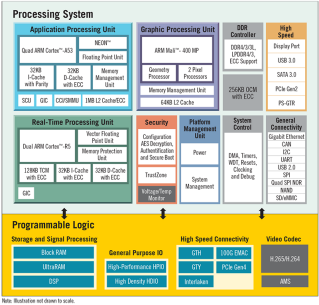 Memory - 2 x 16-Bit DDR4 - SPI Boot Flash - 256 MByte max. 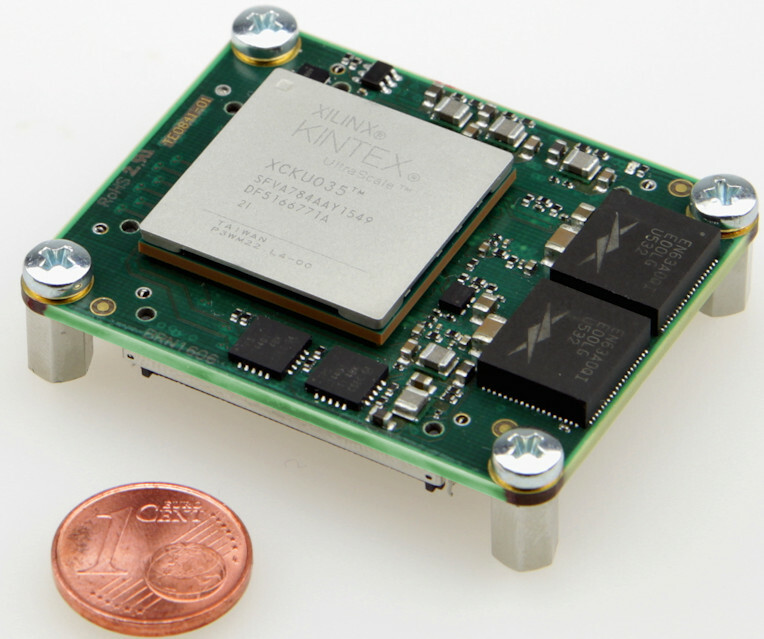 Xilinx Artix-7 FPGA module (100T, 200T), supported by the free Xilinx Vivado WebPACK tool. 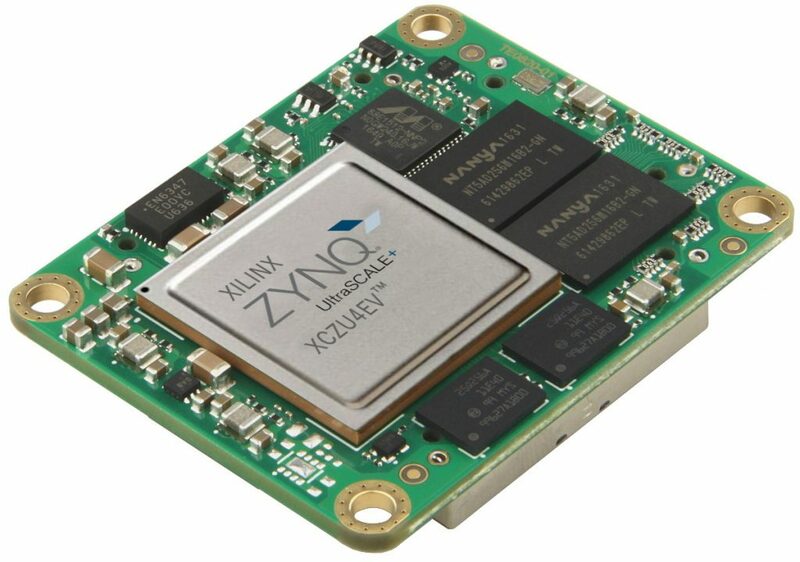 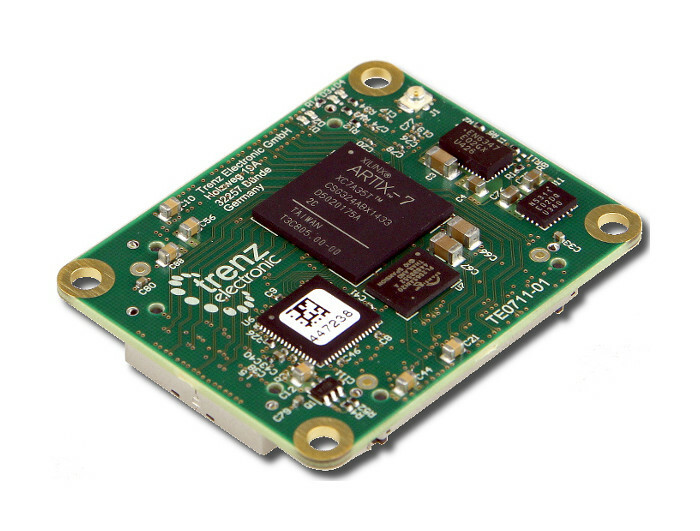 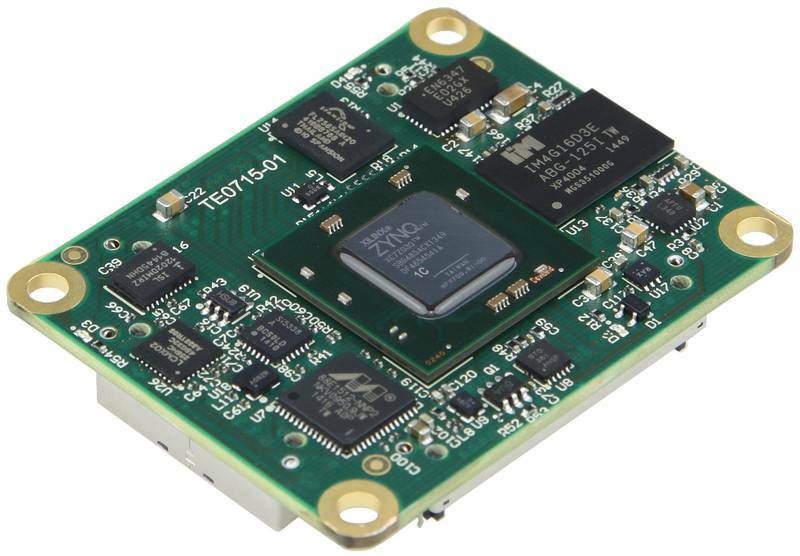 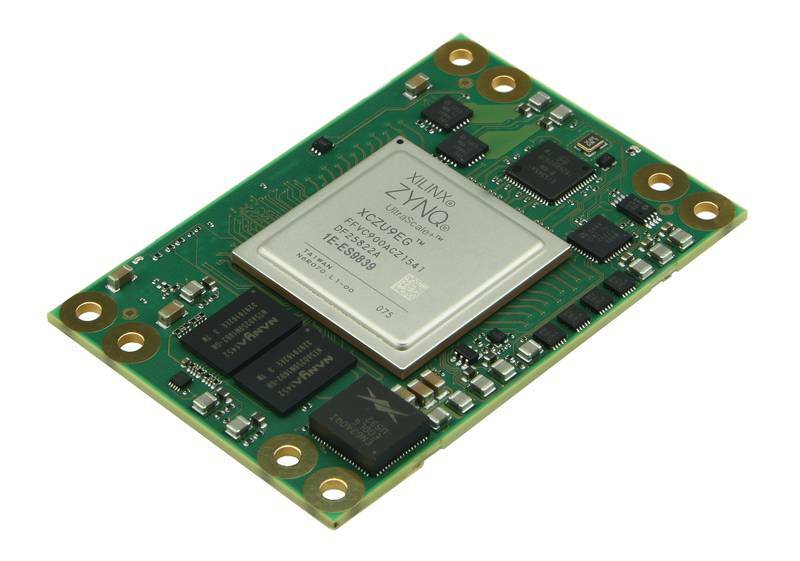 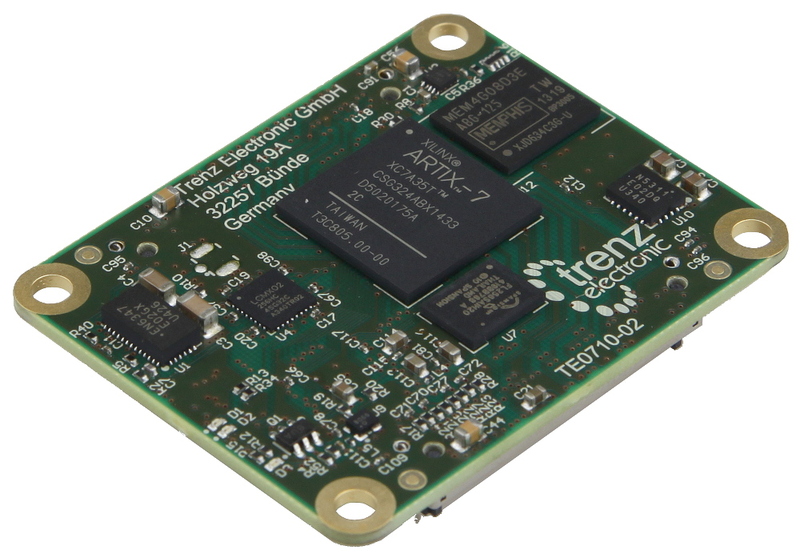 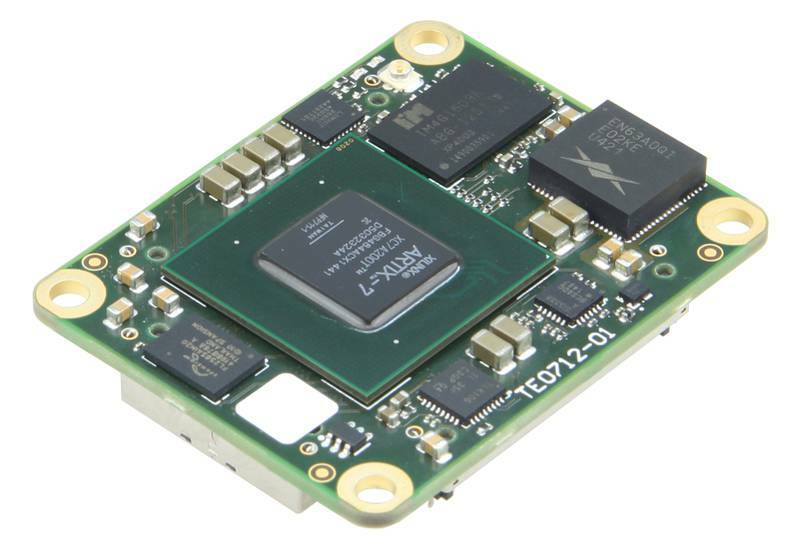 Industrial-grade Xilinx Kintex-7 T FPGA module (70T*, 160T*, 325T, 410T) * Device supported by the free Xilinx ISE WebPACK tool.